The foundation's mission is to provide encouragement and resources to students on ways to learn or teach others to make responsible choices in life. We support and encourage the education of girls and boys by paying for school fees and other related expenses. "Education is simply the soul of society as it passes from one generation to another." Although the U.S. and Haiti are only separated by a short flight, they’re a world of suffering apart. How can you make a lasting difference? 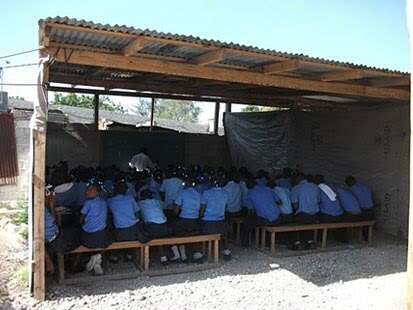 Together, we can help Haitians change Haiti through education. We know that when we help create change for others, it changes us for the better too. Children are the future of a nation. The change that you would like to see in Haiti has to start with you. Let's change one life at a time. We can create the future now, planting one seed at a time. Education is a basic human right and a significant factor in the development of children, communities, and countries. Opening classroom doors to all children, especially girls, will help break the intergenerational chains of poverty because education is intrinsically linked to all development goals, such as supporting gender empowerment, improving child health and maternal health, reducing hunger, fighting the spread of HIV and diseases of poverty, spurring economic growth, and building peace.